The cost of housing depends on supply and demand. Each landlord charges the highest price that a tenant is willing to pay. The result is that at current prices, there are about as many tenants looking for housing as there are available bedrooms. If there were more tenants than available bedrooms, landlords would raise their rent. Landlords know that if many people are competing for a room, there will probably still be a few people who want the room at a higher price. If there were more bedrooms than tenants, landlords would lower prices to attract tenants from other landlords. Landlords do not want to risk having empty rooms. When there is a surplus of housing, prices fall until enough people move in from other areas and there is no longer a surplus. When rent is high, people try to build houses and rent them. When new houses are built, there are empty rooms, and landlords have to lower their rent or risk vacancies. If there is space for construction, people keep building rental properties until there are so many bedrooms that renting out a house is less profitable than another investments. When there is enough space for new houses, the cost of housing is close to the cost of construction and maintenance. 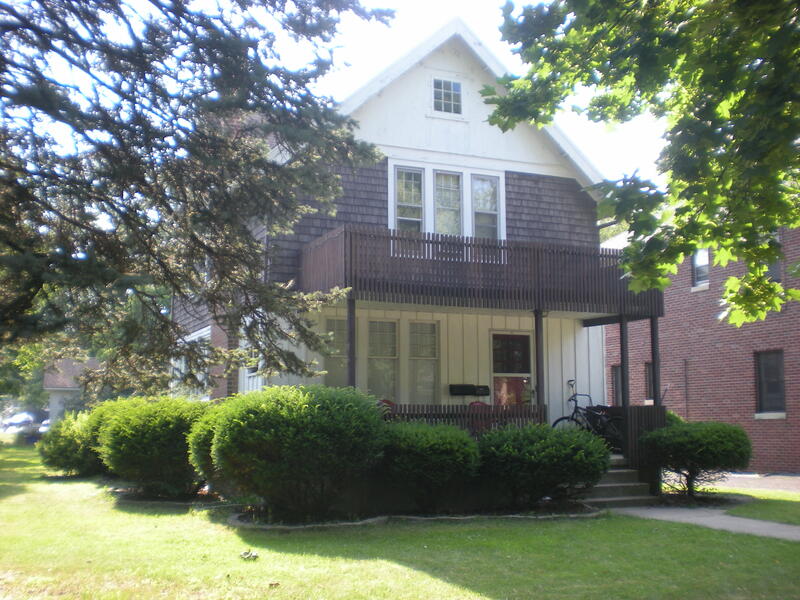 The current zoning code limits the amount of space available for new housing in Ann Arbor. People build houses over farmland in nearby townships, but suburban subdivisions are not a perfect substitute for neighborhoods in Ann Arbor. Tenants are willing to pay more to live near stores and university buildings, so prices remain high. Mixed use zoning will create space for new housing within the city by allowing more bedrooms in each house and more houses on each parcel of land. Landlords will lower rent to avoid vacancies. Mixed use zoning will allow the supply of housing to increase. This house is in the R1D zone. It has four bedrooms and a finished attic. 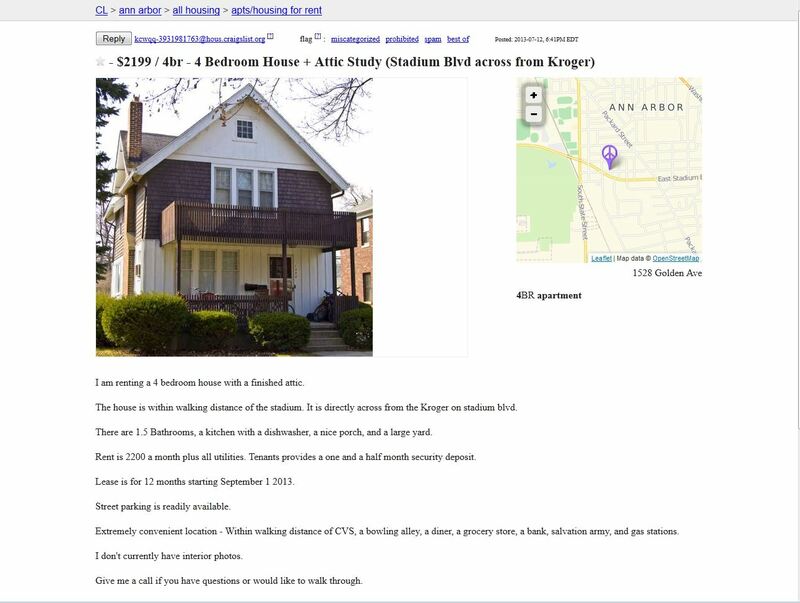 On Craigslist, the rent is $2200 a month. No more than four unrelated people can live in it. The current zoning code prohibits five or more people from living in R1 dwellings, unless they are a family. If city council adopted the Mixed Use Party zoning plan, more than four unrelated people could live in the house. The only limit on people would come from the state building code, which prohibits tiny rooms and other fire hazards. Some people could choose to share a room, and if the finished attic met building code standards, another person could live upstairs. If more people were allowed in the house, the rent could be split up further, so that each person paid less. Forbidding a fifth resident in a house with space for more than four people is wasteful. The current zoning code also limits the number of dwellings on each lot. A dwelling is an apartment or house designed for one group of people. In the R1 zone, there can only be one dwelling on each lot. In some zones, people cannot divide large lots into smaller pieces. The house shown above is on a lot that is 7,405 square ft. In many parts of the city, a lot that size is illegal. For example, in the R1A zone, lots must be 20,000 square ft. or larger. Mixed use zoning will allow smaller lots, and more dwellings on each. The only limit on dwellings will be safety rules from the state building code. Mixed use zoning will let people choose from a variety of neighborhoods. Despite the advantages of sharing space, some people prefer to live in an area where only one family is allowed in each house. Luckily for them, there are many homeowners associations in Ann Arbor that forbid apartments altogether. If someone does not want to live near renters, students, poor people, or some other group, that person can create or join a homeowners association that excludes everything but large single family houses. Home owners associations use deed restrictions that are beyond the city’s control. Mixed use zoning will allow people to choose between areas with many land uses, and places where only one use is allowed. The zoning code will no longer resemble an exclusionary homeowners association for the whole city. Instead it will be a simple plan to regulate harms like noise, odor, and building shade. America does not uniformly face a housing affordability crisis. In the majority of places, land costs are low (or at least reasonable) and housing prices are close to (or below) the costs of new construction. In the places where housing is quite expensive, zoning restrictions appear to have created these high prices. This entry was posted in Uncategorized on July 23, 2013 by mixeduseparty.